The Indonesian Palm Oil Pledge, a group of the world's biggest palm oil companies committed to building an industry free of deforestation and labour exploitation, has disbanded less than two years after it was launched. Less than two years after some of the world’s largest palm oil growers came together to sign the Indonesia Palm Oil Pledge (IPOP), the industry coalition for deforestation and exploitation-free cultivation practices on Friday announced that it has disbanded. In a statement on its website, IPOP said that “IPOP signatories have decided that recent ground-breaking policy developments in Indonesia have fulfilled the purpose of IPOP…therefore, its presence can be dissolved”. IPOP’s member companies said in the statement that they supported the dissolution, and will go back to implementing their own zero-deforestation and sustainability policies. 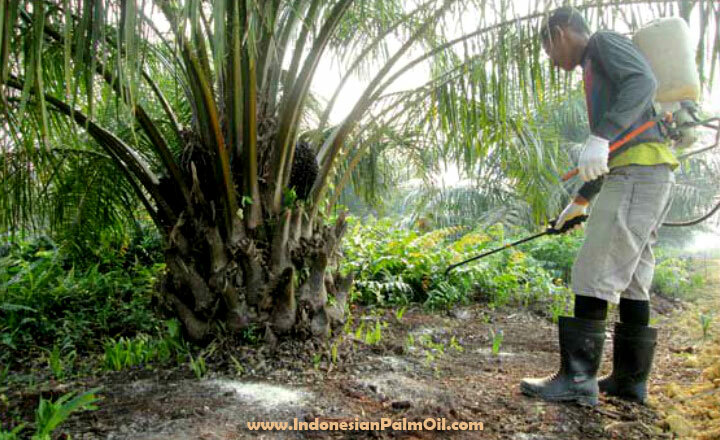 They will also work with the Indonesian government to strengthen the Indonesian Sustainable Palm Oil certification as the international market standard. Among the policy breakthroughs cited by IPOP as justification for disbanding were a move by Indonesian President Joko Widodo to set up a special Peatland Restoration Agency in January to restore the carbon-rich peat soils that are drained and cleared by agribusiness firms, and a freeze on new permits for oil palm plantations and mines in a bid to halt deforestation. These policies were a response to Indonesia’s worst haze crisis on record, as fires razed the country’s forests and peatlands from July to October last year. The haze has become a regular occurrence in recent decades, and much of the burning has been blamed on the palm oil and paper sectors as smallholders use slash-and-burn techniques to clear land for plantations. IPOP, which was signed at the United Nations Climate Summit in 2014, was an effort by the world’s biggest palm oil growers and the Indonesian Chamber of Commerce (KADIN) to help break this link between palm oil and deforestation. Its signatories – Singapore’s Golden Agri Resources, Wilmar International and Musim Mas; Indonesia’s Asian Agri and Astra Agro Lestari; and American firm Cargill – together account for 60 per cent of Indonesia’s palm oil exports. These firms pledged to adopt deforestation-free palm oil cultivation practices across their supply chain, improve smallholder livelihoods, and encourage other industry players to make similar commitments. All firms also agreed to independent monitoring and verification, and to publish regular progress reports to keep the initiative transparent and accountable. But the pledge attracted the ire of officials from Indonesia’s economic and agriculture ministries, who since last August have accused IPOP firms of jeopardising Indonesia’s palm oil industry and demanded that companies backtrack on their zero deforestation commitments as well as exempt smallholders from these requirements. "Instead of applauding and promoting this sensible private sector initiative, government officials have bullied and threatened IPOP members," Annisa Rahmawati, forest campaigner, Greenpeace Indonesia. Green groups and observers lamented the loss of this industry initiative, and blamed both government officials and IPOP’s signatories for the collapse. Annisa Rahmawati, forest campaigner, Greenpeace Indonesia, said in a statement that “instead of applauding and promoting this sensible private sector initiative, government officials have bullied and threatened IPOP members”. “Instead of bad-mouthing IPOP and its members, government officials should urgently work towards delivering President Jokowi’s plans to stop forest fires by halting the palm oil industry’s expansion into forests and peatlands,” she added. Meanwhile, Glenn Hurowitz, senior fellow at Washington-based Centre for International Policies, told Eco-Business that company-by-company enforcement of zero-deforestation policies was not the most effective way deliver large scale reductions in deforestation over the long term. “That requires cooperative efforts by government and industry,” he said. Hurowitz noted that IPOP’s critics within the government were ‘rogue’ officials whose views contradicted those of President Jokowi and other country leaders. Companies should have done more to stand up to these mid-level officials with “pro-deforestation interests”, he said. He added that “IPOP and its members did not launch anything like a sufficient defence of the conservation agenda” in the wake of these attacks, which allowed critics to continue undermining IPOP until it eventually dissolved. But ultimately, the government needs companies to back its efforts, stressed Hurowitz. Although IPOP may no longer exist, a collaborative approach to forest protection is still essential to prevent another haze crisis, he added. Agribusiness industries “will need to team up to create comprehensive, transparent implementation mechanisms to ensure that only suppliers free of deforestation and human rights abuse obtain access to markets,” he said. One initiative they can emulate is the Brazilian Soy Moratorium, an industry-led ban on buying soya from newly deforested areas in the Amazon rain-forest, or from farmers using forced labour. The moratorium was first announced in 2006 and has been renewed regularly since then; it has been widely credited as a major reason for reduced deforestation in the Brazilian Amazon. Indonesia can follow a similar trajectory of deforestation-free agriculture if it focuses on planting on degraded land and improving yields through technology, but the government needs companies to back its efforts, said Hurowitz. “If the palm oil industry is to build a reputation for sustainability, it will need to find the courage to team up and create a new mechanism that actually delivers results for Indonesia’s people and forests,” he added.